A murder in a quiet house boat community sets the stage for you and your students to test their forensic knowledge. 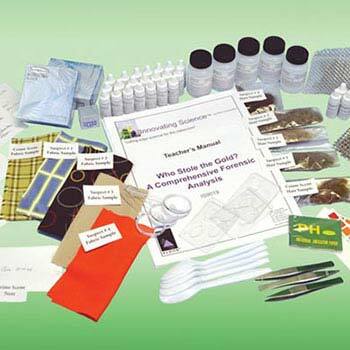 Students will take on the role of a forensic technician as they analyze hair, fiber, fingerprint, blood, and hand writing evidence to help pin point the killer. A murder in a quiet house boat community sets the stage for your students to test their forensic knowledge. 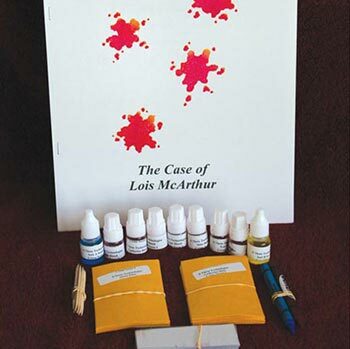 Does your class have what it takes to find the murderer? 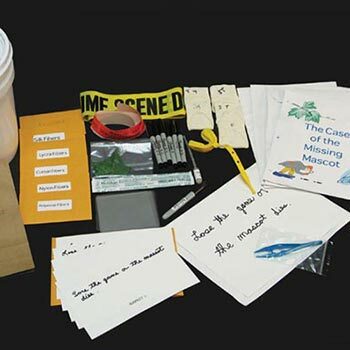 Students will take on the role of forensic technicians as they analyze hair, fiber, fingerprint, blood, and handwriting evidence to help identify the killer. 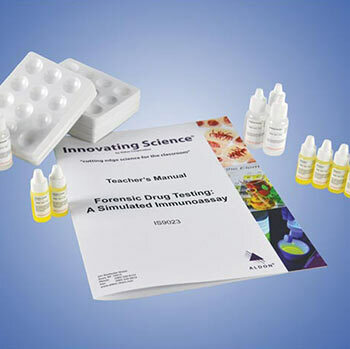 This kit provides a unique and complex set of evidence, and includes enough materials for 15 groups to perform their analysis as well as teacher and student guide master copies. 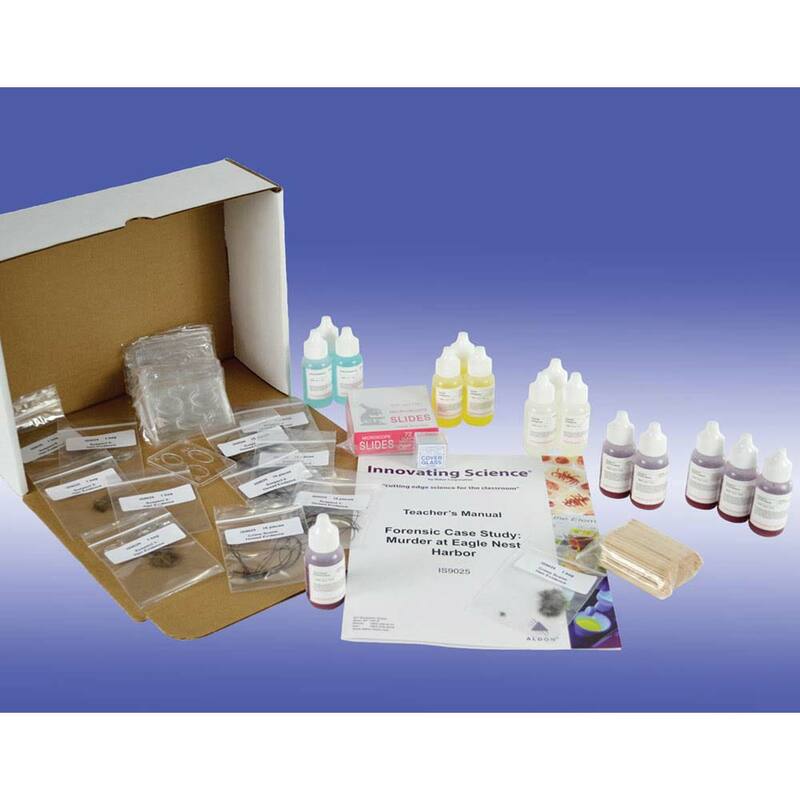 How does this compare to our other Crime Scene Kits?